“Listen up girl when you feel this way, yo boys I am sing song, soup song, flop song, touch me, touch me, touch me. What is mobile number, what is your style number? Move your body now, shake your body now!” One might wonder where this bizarre, and oddly raunchy, string of English words came from, and it is none other than Bollywood. Contrast this with the long ballads penned in the purest of Hindi and Urdu, the shy gazes shared between lovers and beautifully choreographed celebrations of culture, and you see what a mere ten years does to a movie industry. It is clear that with the explosion of the Non-Resident Indian (NRI) population, Bollywood wants to cater to both this mass exodus and the Indian population that craves the coveted NRI lifestyle. In doing so, Bollywood has developed its own sense of what Western culture is, and it is typically incorrect. On one end, as funny as the stereotype might be, Westerners are no more promiscuous or likely to get drunk than any other culture in the world – it just happens to be more socially acceptable in some cultures than others. On the other end, Bollywood is sometimes 30 years too late in its choice of casual, non-Indian clothes, as many characters look like they walked out of a bad 1970s movie. In attempting to target the NRI genre, Bollywood shows a misunderstanding of what NRIs seek from their Bollywood consumption. If NRIs wanted to see excessive alcohol consumption or promiscuous dancing, they can watch trashy TV in their new homes or on MTVU in the Student Center. Often, when NRIs invest themselves in the four or five hours of a single Bollywood movie, they are looking for something that echoes their value system. The Indian value system is typically built on family, loyalty, trust, love, home, patriotism and so much more, and the outlandish inclusions of non-Indian culture distract the viewer from the plot and the core values represented. For example, Hum Tum is a beautiful story about the characters of Rani Mukherjee and Saif Ali Khan who, at their first meeting, act immaturely and hateful towards each other. Throughout the film, each recurrently run into the other after periods of personal growth, and develop feelings. Eventually, they fall in love. However, alongside this plot, the movie creates two cartoon characters who appear in random intervals, and while one of the main characters is the cartoonist who penned these characters, their plot line and visual representation detracts from the core of the movie. Finally, the Indian movie industry has simply come to ignore the vibrant culture that both NRIs and non-Indians expect from Bollywood. The ‘90s classic Dilwale Dulhaniya Le Jayenge, starring King of Bollywood Shahrukh Khan and former Queen of Bollywood Kajol, represents the core values of marriage and family loyalty, but also love prevailing. The choreography and colorful attire beautifully reflect Indian culture and effectively compare and contrast the lifestyle with other cultures. 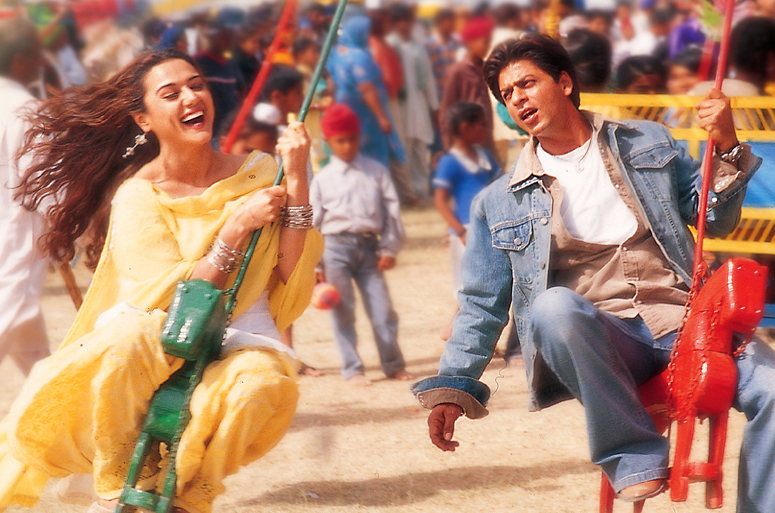 The early millennium classic Veer-Zaara shows how the firm beliefs of two different cultures can clash and truly affect Indians’ lives; again, love prevails. These two movies are just a few examples of the beautifully crafted depth that Bollywood is capable of and expected to produce.